Happy Tuesday everyone! I pray you had a great Memorial Day. We are blessed to live in a country where we can worship, praise, sing, and write about our God. Thank you to all those who have, do, and will lay down their lives for us to have this freedom. Today we welcome back Kris Walker to share on our readings for today! Here we have it! Documented, worship music before Matt Maher, or Kristian Stanfill, or Mercy Me, were ever in the picture!! 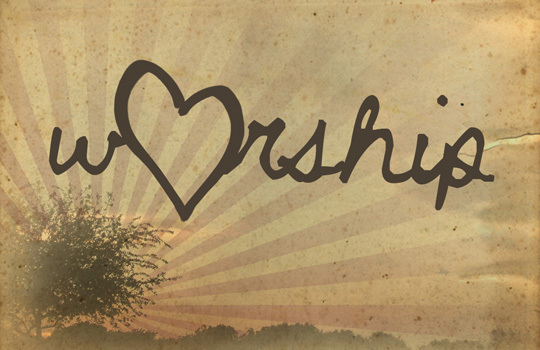 Worship music!! There is something about singing that makes our souls feel free, and happy. After becoming a Christian 3 years ago. The feeling for me was made even better when I was singing to our father. I know this may be different for everyone, but, I feel closest to God when I am singing. I joined the worship team at E-Free, and it is one of the best feelings ever, to look out, and see everyone praising God together, some with their arms raised, some holding their loved ones. Even those simply bowing their heads praying, just being in the moment. But everyone is there praising God. Sometimes I feel the musical form of Worship can lead the church and individual to being closer to God more than the message presented afterwards. So, that novel of a paragraph to say I was excited to read our scriptures in Psalms! One is a prayer. But the other one specifically says it’s a song!! And honestly… Some of the best worship songs these days, are literally taken right out of the psalms! They are prayers!! They are just set to music and the words repeated in a catchy chorus! One of my current favorites right now is by Matt Maher. It’s called “Rest“. I highly recommend it. It even ties into Today’s reading. One of the lines is “I Trust in you”. Hear me, Lord, and answer me, for I am poor and needy. Guard my life, for I am faithful to you; save your servant who trusts in you. You are my God; have mercy on me, Lord, for I call to you all day long. Bring joy to your servant, Lord, for I put my trust in you. You, Lord, are forgiving and good, abounding in love to all who call to you. Hear my prayer, Lord; listen to my cry for mercy. When I am in distress, I call to you, because you answer me. I so badly wish I had musical writing ability. Because these words are so beautiful to me! We are all in so much need of God to Guard our lives! I wish I could write about the stories and feelings I’ve read on this bible journal program. I find you guys inspirational! I don’t know Jillian’s family personally, just what I’ve read, but I have been so impressed with their display of calling on God! Praying to him and showing that they TRUST in God! I love that we are all praying for her Family, and God is Answering prayers. And I feel a part of this. Without even being a close personal friend of theirs. It’s because of our bond through Christ, and reading what she has written, and reading what some of what what written in her stead. It’s truly inspiring. This is the stuff worship music is made of!! I really appreciate you letting me partake in reading everyone’s thoughts and comments on these scriptures..
My thoughts were primarily on Psalms, but Deuteronomy really ties into my thoughts. Worshiping and praying to our God is such an amazing thing. And it really is an honor. Who else has this? We really are special! We have our God near to us when we pray! And I add worship. I think it makes me feel just as close! After all, as I said, some of these “songs” are really just prayers put to music! I really love the musical aspect, and it’s what my thoughts kept going back to. But I guess what the important part to take away from today’s reading is in my opinion: Don’t hold back.. Sing!! Pray!!! Don’t waste this privilege, this honor. This pleasure! This is a great way to grow close to our Father! It’s says we have him near to us when we do this! Doesn’t matter if you’re at church, at home, or in your car. Give it your all. Pray hard, sing hard.. Worship hard! Lift up our friends, brothers and sisters in this wonderful form of worship! Thank you so much for this ability! Please help us use it to our fullest ability, so we may grow ever closer to you!